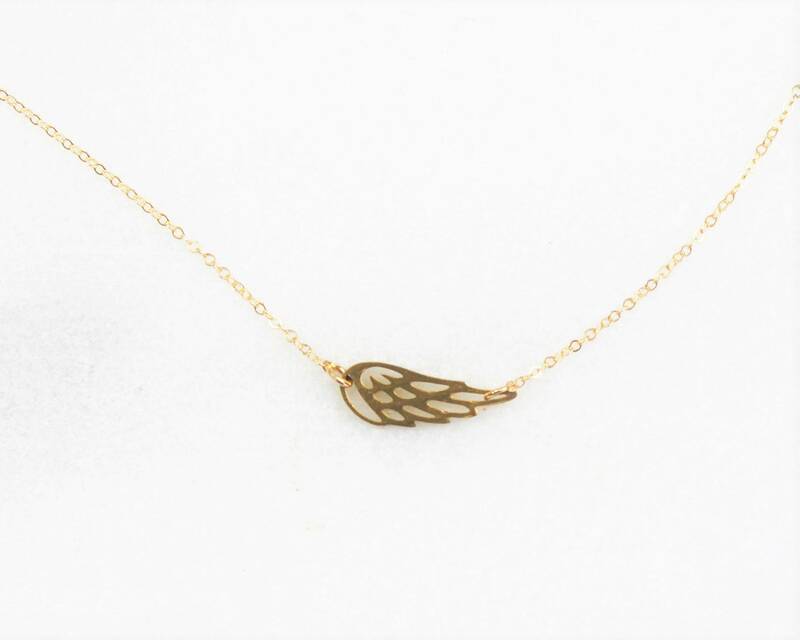 Our angel wing necklace features a single wing suspended in a chain. 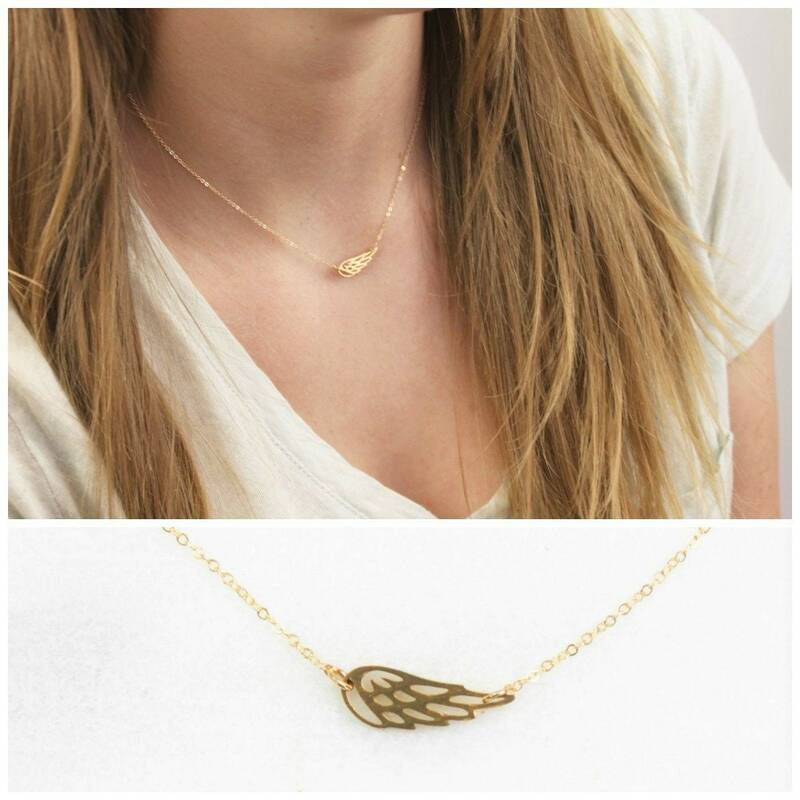 An angel wing is the symbol for protection and remembrance. 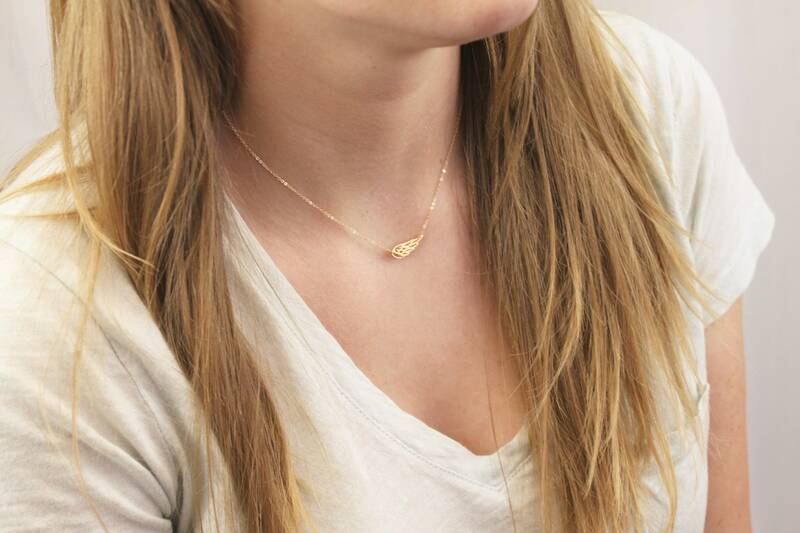 Wear this as a reminder or give it as a gift to lift someones heart. 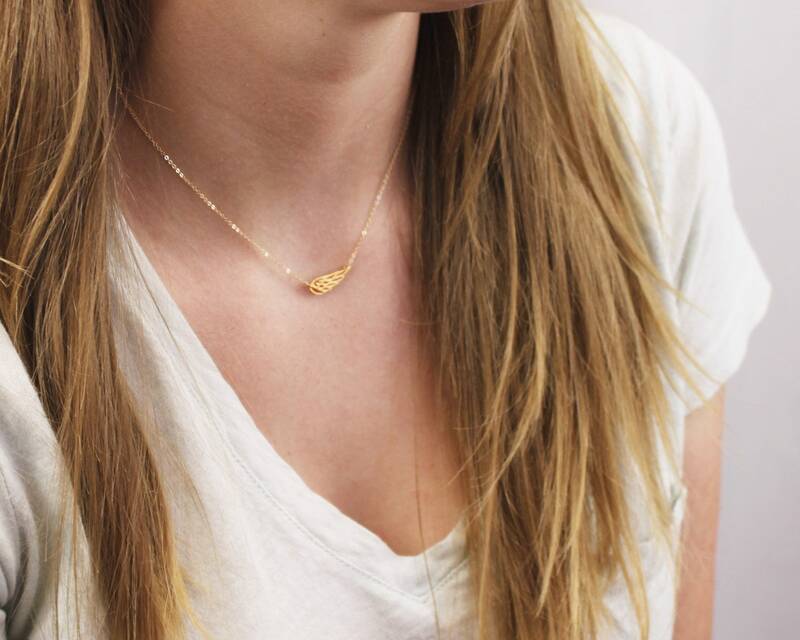 Available in gold and silver options. 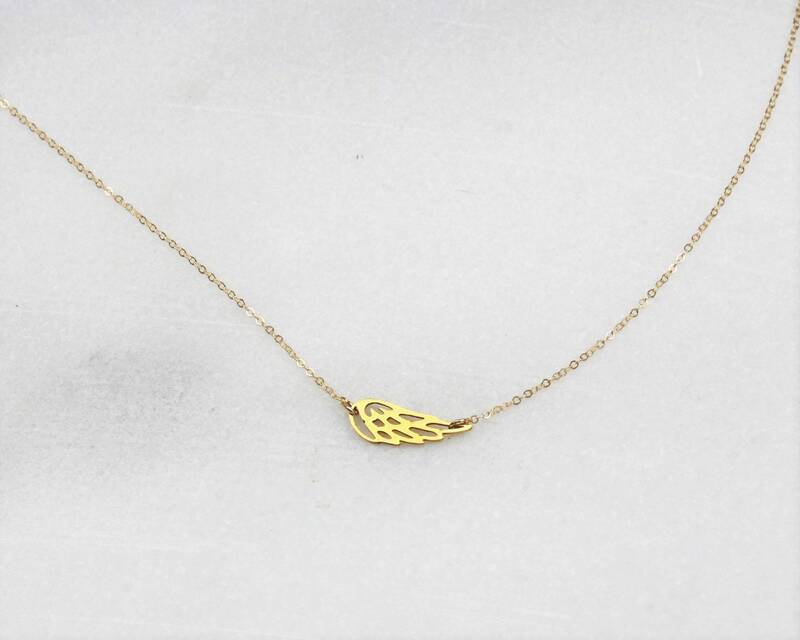 -Tiny wing is approx 17mm in gold plated and silver plated. Purchased 2 of these for cousins that lost their Dad. They loved them! Just like I wear mine in memory of my Dad, I constantly see them in theirs in memory of my Uncle. Great price - great size (very dainty) - just perfect! Purchased for my daughter and she was very pleased with her gift. Quality and overall appearance is great for price! Very likely to be back for more!